We were doing a tasting of the Reserve Cab sauv and noticed it tasted more like a merlot than a cab so decided to give this one a whirl. It’s in the general list, and a LOT cheaper. Dark in color with a nice black plum nose. On the mid palate the wine matches the nose with black plums, and maybe some black cherries. There’s an underlying hint of mint/eucalyptus I’m not a fan of but it is mild. On the medium length finish the wine displays some nice acidity and tannins, it’s nice and dry/ All in all, mint aside, this is a nice Merlot. I would give it an -88. 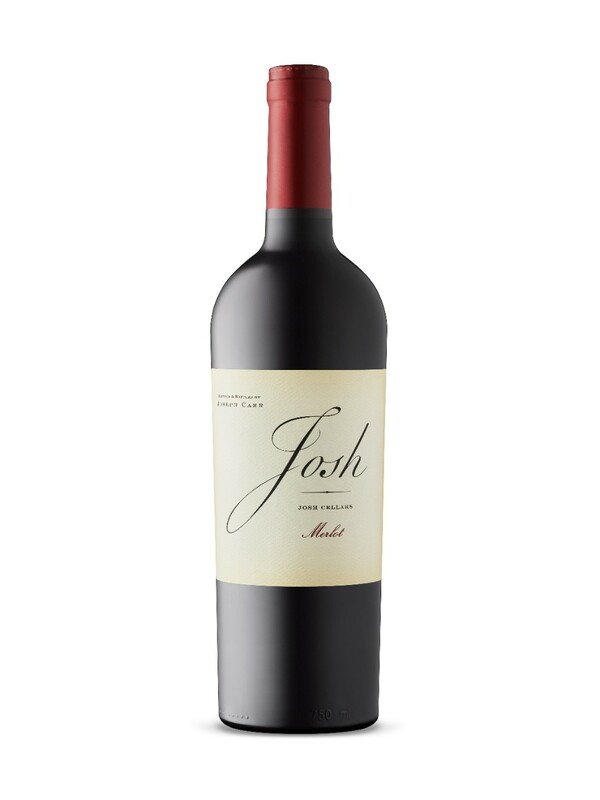 Joseph Carr Winery makes a tier of wines named after his affable father Josh. Josh Merlot, in turn, is inviting and full of character. With aromas and flavours of blueberry, vanilla, and mocha, a velvety texture, and fine tannins on the finish, this red will complement lamb, meat-based pasta or soft cheeses. Cheers Josh! This entry was posted in American, JG Review, Wine. Bookmark the permalink.